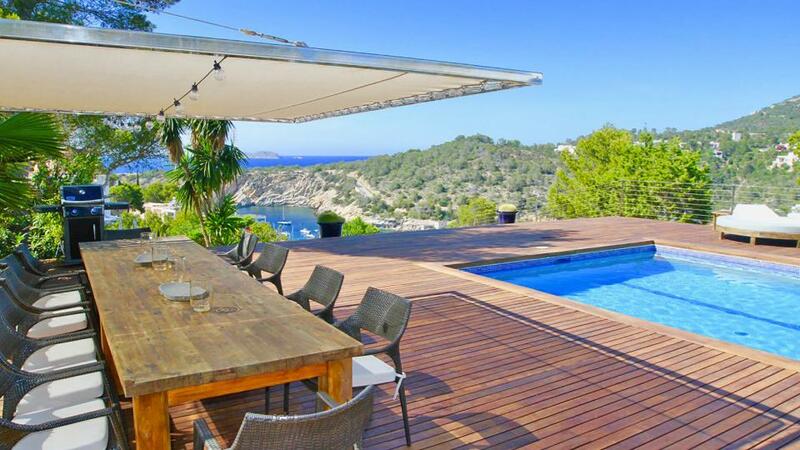 Superb Arab-style villa, located on the heights of Cala Carbo beach, with an exceptional view of the sea and the rock of Es Vedra. Room, Ground level. This bedroom has 1 double bed. Bathroom outside the room, private, With 2 washbasins. Room, Ground level. This bedroom has 1 single bed. Room, Lower floor. This bedroom has 2 twin beds. Bathroom ensuite, private, With shower. The main entrance is in a pretty patio with a dining area. Moroccan living room with fireplace, stereo, TV and international satellite. This living room opens onto a large terrace and pool area. Private swimming pool of 8x4 m. Outdoor shower. 6 sunbeds. Large bed with veil. Very nice view of the sea and Es Vedra. 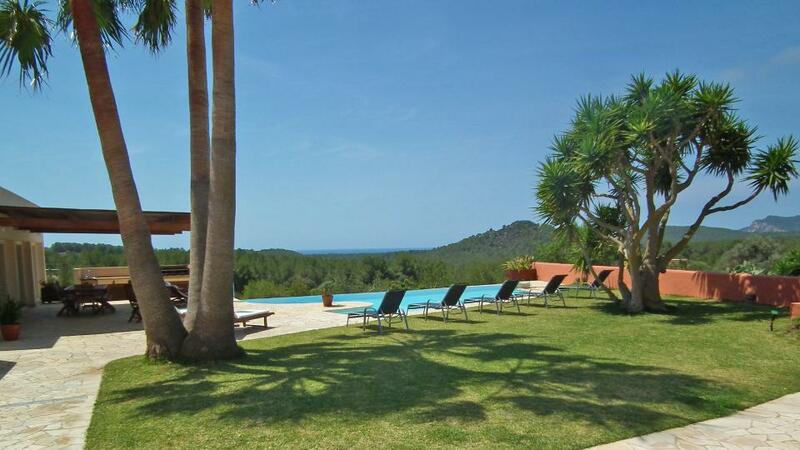 Very quiet and privileged place just 10 minutes walk and 5 minutes drive from the beach of Cala Carbo. 10 minutes from the beaches of Cala Vadella and Cala d'Hort, 10 km from the village of San Jose and 30 km from Ibiza town. Supermarket 5 minutes.